Google announced that they will begin to use site speed as an official metric in an upcoming update called the “Speed Update” which is focused on mobile results. This update will be released in July of 2018 and is reportedly only going to impact a small percentage of sites. If the update only impacts a small percentage of sites it will probably only impact the slowest of the slow. Site speed is not a new ranking indicator at all. In April of 2010 Google announced they would be including site speed as a quality signal in their algorithm. A slower site means a worse user experience. 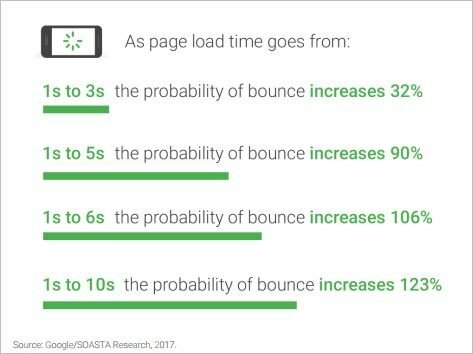 The likelihood of a user bouncing from a slow site increases significantly when the site takes longer than three seconds to load. The information above came from a Google study released in 2017 which you can download here. You can see that when a page takes longer than three seconds to load, the number of users willing to stick around drops dramatically. I’ve been a proponent of sub-three second sites for several years. When a site is fast, it retains users, inspires deeper visits, and leads to more sales with larger per-order dollar amounts. 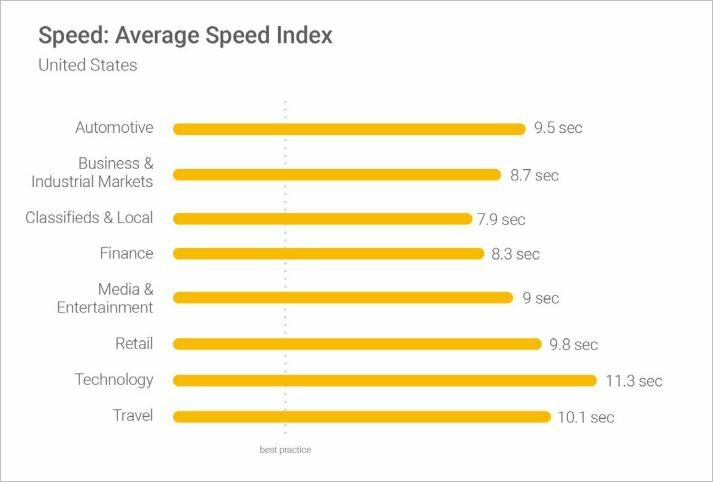 Another interesting metric in Google’s report was the average load times for different industry websites. Two important things to note are 1) the lowest average load time was 7.9 seconds, and 2) Google’s “best practice” line, which is three seconds. When Google does include site speed as part of the mobile algorithm, it’s going to have a big impact on the results. If the averages reported by Google above are correct, I think it will be really easy for a site to shine among competitors just because it’s 2x or 3x faster than the rest. Sorting out site speed is not always an easy thing, so you should get started as soon as possible. When Google flips the switch, your site could see a huge jump in ranking. One important note: don’t forget to test your site as a mobile device and simulate different connection speeds (3G, 4G, LTE, etc.) so you can really see what’s going on.